For a “free” phone, Reliance’s JioPhone will pack quite a punch. The Rs. 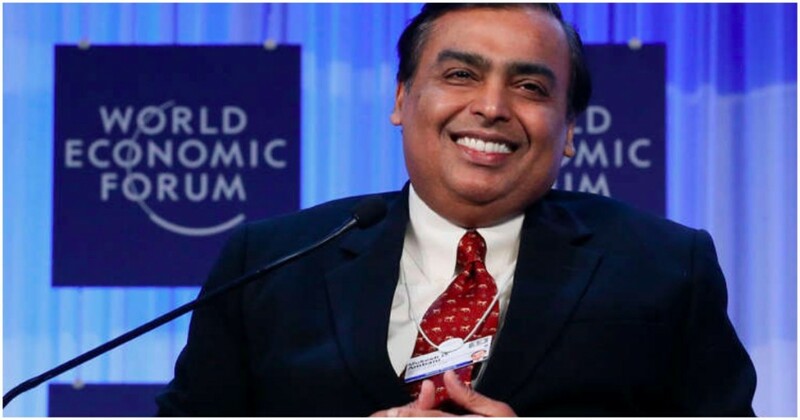 1,500 handset, which was announced by Mukesh Ambani during Reliance’s AGM nearly a month ago, is not going to be barren, basic phone that many had believed — the phone will have a front-end selfie camera, 4GB of memory, and even support for navigation through maps, 91mobiles has reported. The additional features will only add to the hype around the phone, which Reliance has been billing as being essentially free. The Rs. 1,500 is an upfront security deposit, which can be redeemed in full in three years if a customer chooses to. The phone was expected to take away significant marketshare from incumbents in 2G sectors based on its price point alone, but with some high-end features thrown in, it could cause even more disruption than previously believed. Leaked documents from Reliance Jio’s promotional materials showed that the phone will look much like a traditional feature phone with a keypad. It will carry a prominent Jio logo on the front, with Lyf branding on the back. The 4G LTE and VoLTE phone will have a 2 Megapixel back camera, and a front-facing VGA camera. It will have 4GB of built-in memory, which will be further expandable up to 128GB via a microSD card. The phone will also have GPS support alongside a dedicated mapping application, a feature that will come handy for millions of deliverymen across the country who might be currently using feature phones. The phone will offer access to live TV with up to 400+ channels and seven days catch up via the Jio TV application. The Jio Cinema app will offer access to movies and music videos. The phone will have a browser, and being billed “India ka smartphone,” will allow support in 22 languages. Crucially, the JioPhone can be connected to any television – even a CRT model – to watch TV and movies. The leaked documents, however, couldn’t confirm one of the most persistent rumours around the phone — the availability of WhatsApp. WhatsApp is near-ubiquitous among India’s existing smartphone users, and the JioPhone would become exponentially more useful to its users if it supported WhatsApp. There has been speculation that Reliance is in talks with Whatspp to integrate their messenger into the JioPhone, but there is no mention of WhatsApp in these leaked documents. But apart from its features, JioPhone is expected to be the most affordable phone in India by a distance — JioPhone will support unlimited voice calls, SMSes and data for Rs. 153 a month. The phone will be available for pre-booking on 24th August, and once it’s available, could unleash a revolution for India’s 17 crore 2G subscribers.